One of the strengths of the Jozini Project is the training component. By the end of the project, 2400 farmers will have the skills to produce food and raise livestock for home consumption and sale using improved farming methods. To this end, an emphasis is put both in developing high quality materials and then delivery trainings. 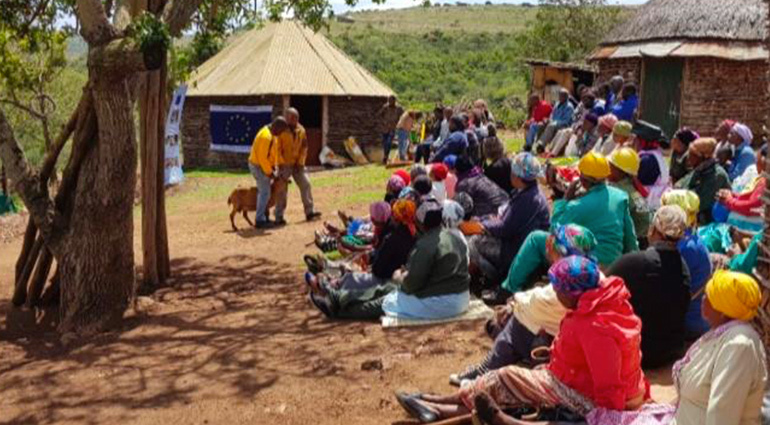 In the final year of the Jozini Project, over 3,000 farmers, Livestock Association members, Community Animal Health Workers (CAHWs) and leather workers will be trained in a variety of topics such as goat and chicken management, basic veterinary skills, census taking and leather processing.